I was a guest on the Capturing Magic podcast this week, and my episode is live. 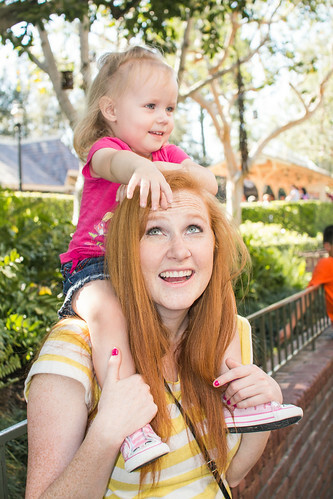 I talk about capturing people in my photos at Disneyland. 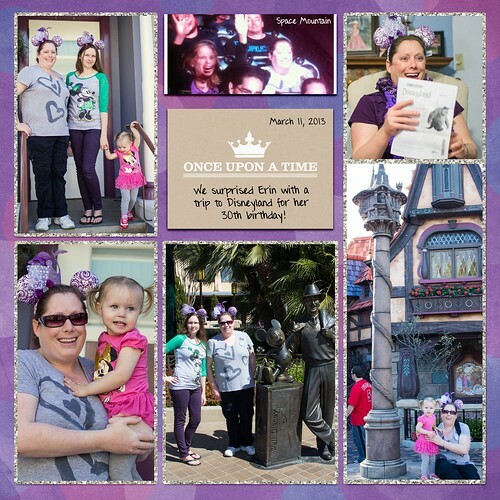 This entry was posted in Disneyland, Podcast and tagged Disneyland, podcast on May 28, 2013 by Shannon. 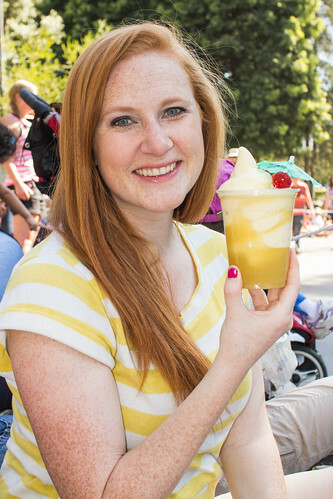 Disneyland was open for 24 hours straight, from 6am to 6am. We didn’t even attempt to go all 24 hours, though there were many that did! We were most interested in the late night events. We let Guinevere nap late, and she woke up around 6pm. We were in the park by around 7pm. 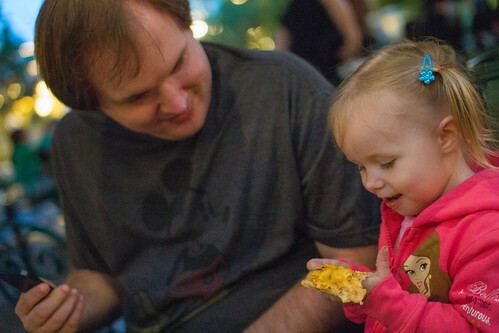 We went to DCA first for dinner and shared the exclusive macaroni & cheese pizza at Boardwalk Pizza & Pasta. 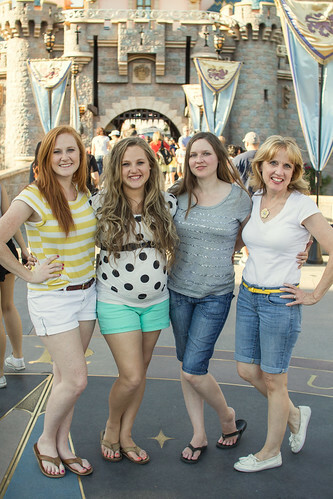 After that we crossed over to Disneyland. 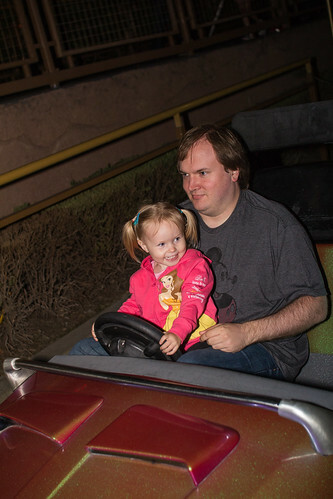 I had read that there would be Storm Troopers in Tomorrowland but I didn’t see any, so Jerrod took Guinevere on Autopia. By the time we were done with that, it was almost time for the fireworks. After the fireworks we rode the Astro Orbiter. 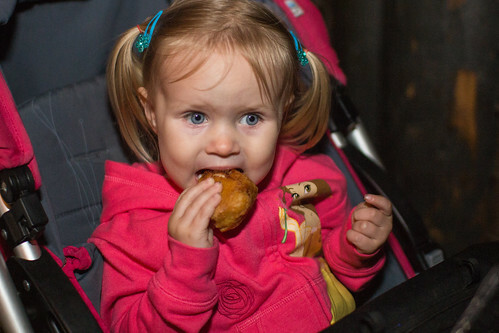 When we got to the Stage Door Cafe to have some exclusive Monte Cristo Bites, the 10:30 showing of Fantasmic started. We were able to mostly watch the whole show. 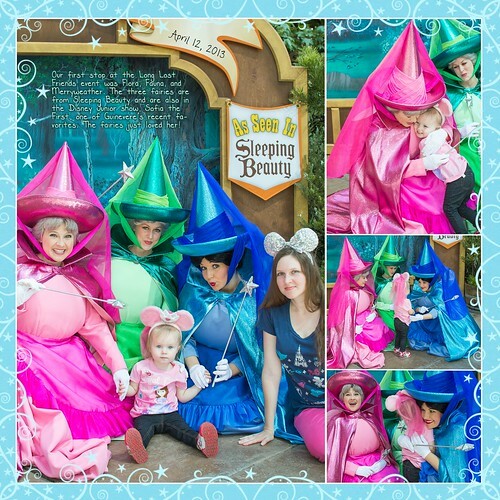 Guinevere said she wanted to go on the Winnie the Pooh ride, so we headed to Critter Country. I changed her into her pajamas at the Hungry Bear restrooms, but when we got to the Winnie the Pooh ride she said she didn’t want to ride it. That was okay, we just headed back to Fantasyland and one of our most anticipated late night events, a 12:30am Soundsational Parade! 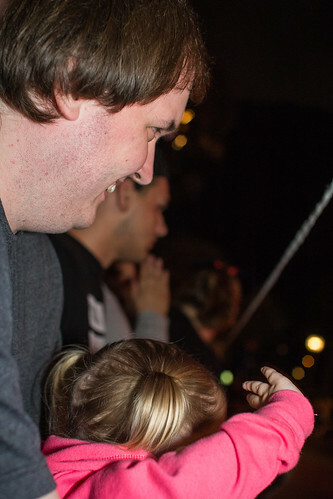 Guinevere was happy to wait for the parade, and was so excited when it started. It was the most exciting Disneyland parade I’ve ever seen! I doubt there was anyone that wasn’t a huge fan, and it felt like a midnight premiere. The crowd was especially excited and responsive, and the performers really rose to the occasion. By the time the parade was finished it was after 1am. Another late night event we wanted to experience was a pajama party in Toon Town after midnight. I’ve rarely seen so many people entering Toon Town! 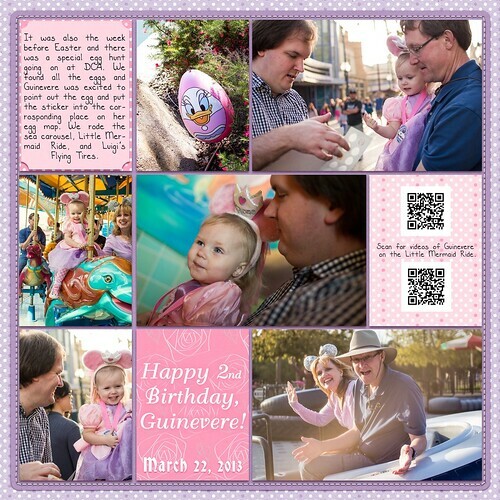 We gave Guinevere the choice of who to see first, and she chose Mickey Mouse. 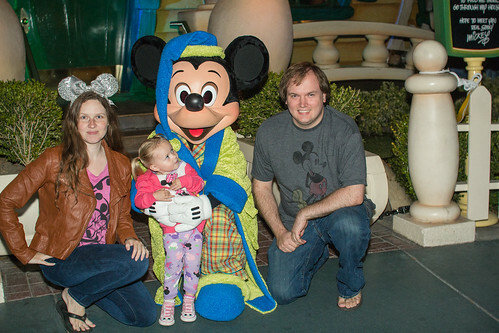 After greeting Mickey in his pajamas, Guinevere and Jerrod were getting tired and didn’t want to wait for more characters, so we started walking out. 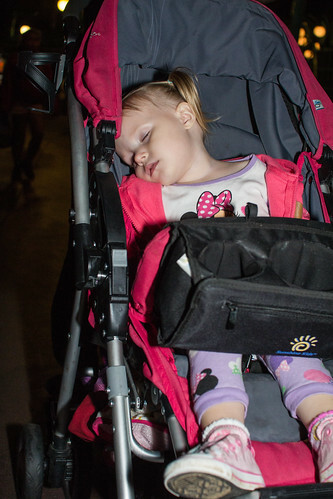 Guinevere fell asleep on the way to the car. We left at about 2am. 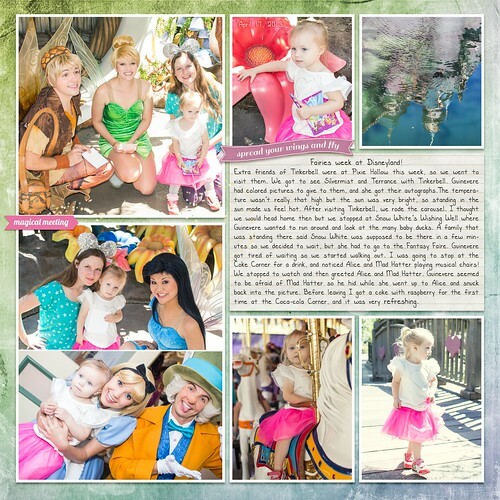 This entry was posted in Disneyland, Journal and tagged Disney24, Disneyland, Monstrous Summer on May 27, 2013 by Shannon. Inspired by Britt of Britt-ish designs‘ “Project Mouse” stuff and of course the “Project Life” trend, I’ve been doing a Project Mouse that’s a bit more like Project Life. Since I’m a local, I don’t go to Disneyland on vacation, I go for a couple hours, sometimes weekly. I take lots of pictures but I never make a big vacation “album” or anything. My idea is to do a page per visit, similar to the page per week I would do for project life. Some visits needed a two page spread. Actually, I found some visits, like my daughter’s birthday, needed a third page. I’ve found that if I was having trouble getting everything on the page sometimes I just need to add a page and it’s amazing how quickly I’m able to get it together. One thing I’ve been doing is I try to make a psd file and put down a little journaling about what we did that day, and I’ll usually put the pictures in too. This is usually that night or the next day. Often I do it during Guinevere’s post-Disneyland nap! I don’t usually do anything else with it right away, but when I’m ready to create, everything is right there and I haven’t forgotten the details of the day. Here are the pages I’ve made so far. 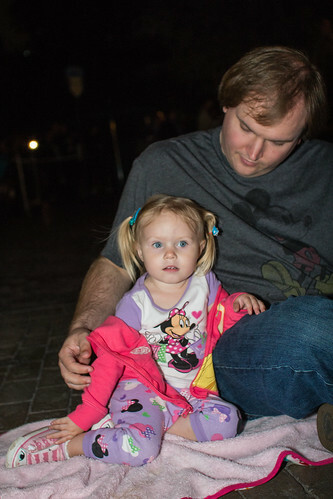 I’m hoping to be able to eventually backtrack to Guinevere’s first trip to Disneyland. 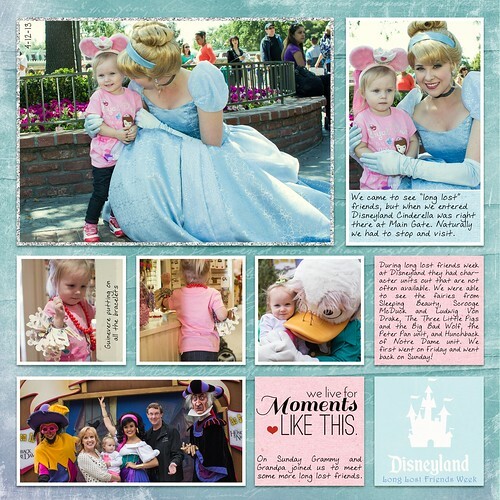 I know she would love looking at a book of all of her days at Disneyland. 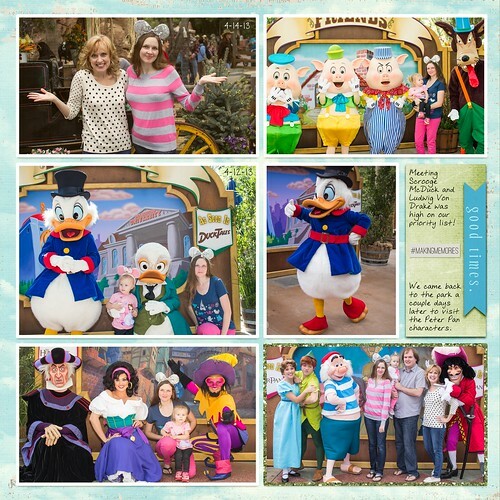 This entry was posted in Disneyland, Journal and tagged Disneyland, project mouse, scrapbook, scrapbooking on May 20, 2013 by Shannon. Amy has been living in Washington DC for several months now, trying to make her dream job come true. 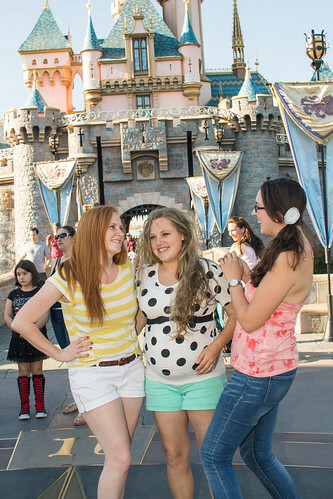 She visited us for the weekend and of course one of the days was Disneyland day! 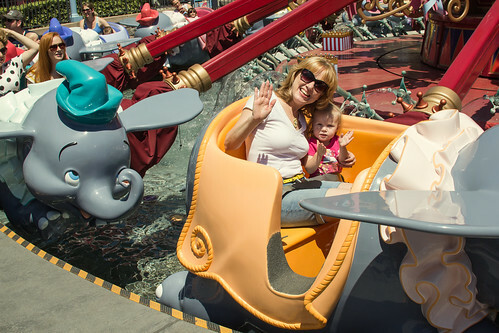 Guinevere and I arrived just as the rest of the group were getting on the Dumbo ride. I was able to pass her over to Grandpa and she got to ride with Grammy, no waiting! We went to wait in line to meet Rapunzel and while we waited, Pinochio came and stood nearby to greet guests. 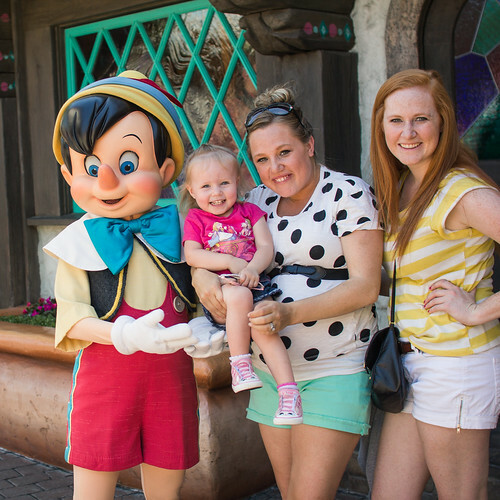 Holly, Amy, Guinevere and I went to take a picture with him while my parents and Melodee waited in the Rapunzel line. 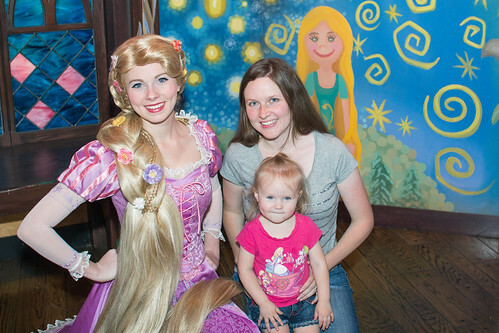 We met Rapunzel soon after and Guinevere did a great job. She loved getting to see both Aunties while she waited. 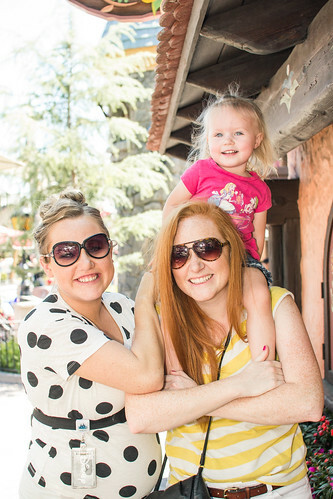 We had lunch in Frontierland at the Stage Door Cafe and Holly and Amy’s friend Kristin joined us. 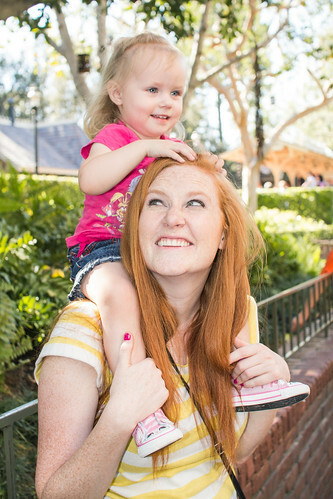 We all love Kristin and she loves playing with Guinevere. 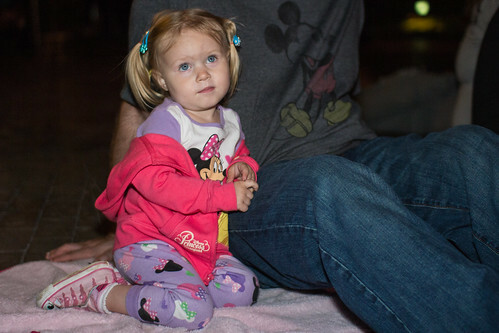 We rode Pirates which Guinevere was very interested in, then went to wait for the parade. 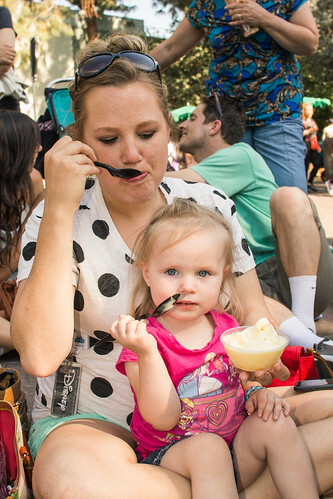 My mom got us Dole Pineapple Whips while we waited, a favorite treat! 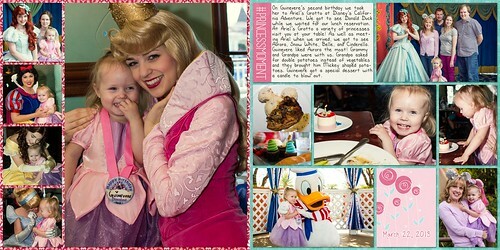 Guinevere had everyone in hysterics as she sang and danced along with the Soundsational Parade. 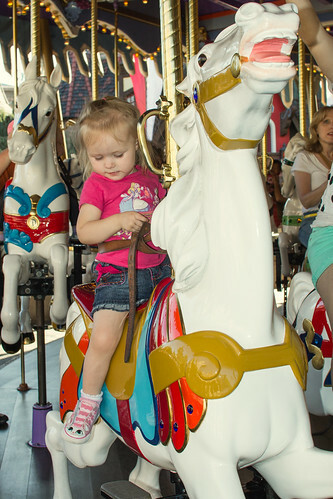 After the parade we went on the Storybook Land ride and the Carousel. And we tried to wake up Figaro, but he wouldn’t wake! 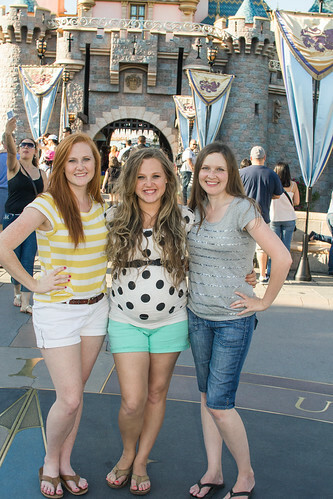 We ended the day taking group pictures in front of the castle. 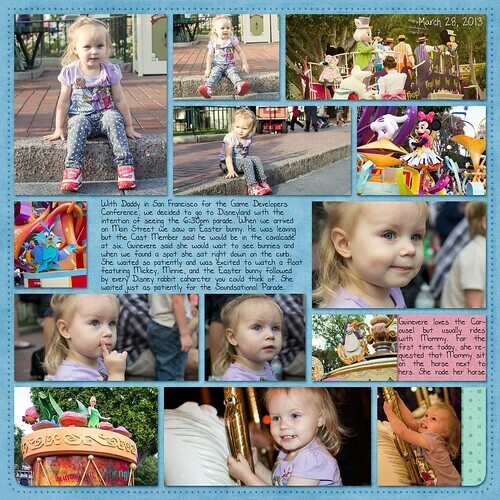 This entry was posted in Disneyland, Journal, Photography and tagged Amy, Disneyland, Dumbo, Guinevere, Parade, pictures, Pineapple Whip, Rapunzel, videos on April 22, 2013 by Shannon.